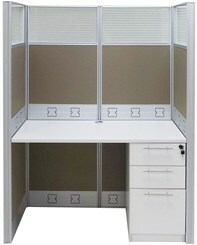 Our double raceway cubicles are the perfect organized solution in technology-friendly furniture. Cables easily route directly through panels for neat and uncluttered cubicles. Attractive, modern design with frosted, striped, tempered glass provides the high end professional appearance you desire, but at an extremely affordable price. Quick and easy set up with unique clip-together system. 48"W x 24"D x 48"H Complete Double Raceway Starter Cubicle sold above. 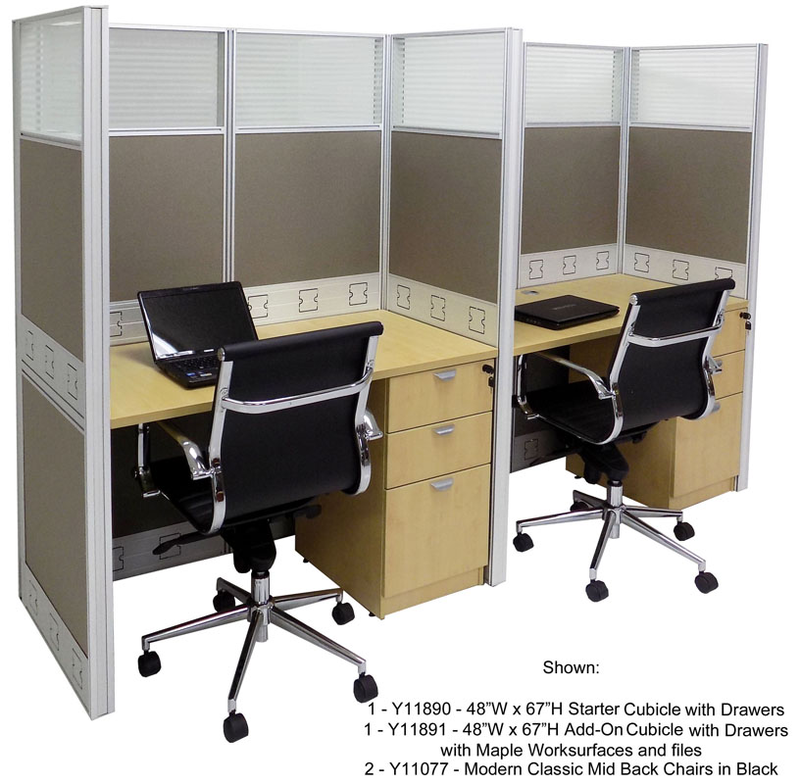 See Add-On Cubicles and additional versions below. 48"W x 24"D x 48"H Starter Cubicle includes all 48" high panels with tempered glass windows, connecting posts, worksurface, locking box/box/file drawer unit and necessary hardware. Starter Cubicle dimensions are 52-1/2"W x 26-1/4"D x 48"H overall. Shipping weight 212 lbs. PRICE INCLUDES SHIPPING! (Truck shipment - See Terms & Conditions). IN STOCK! 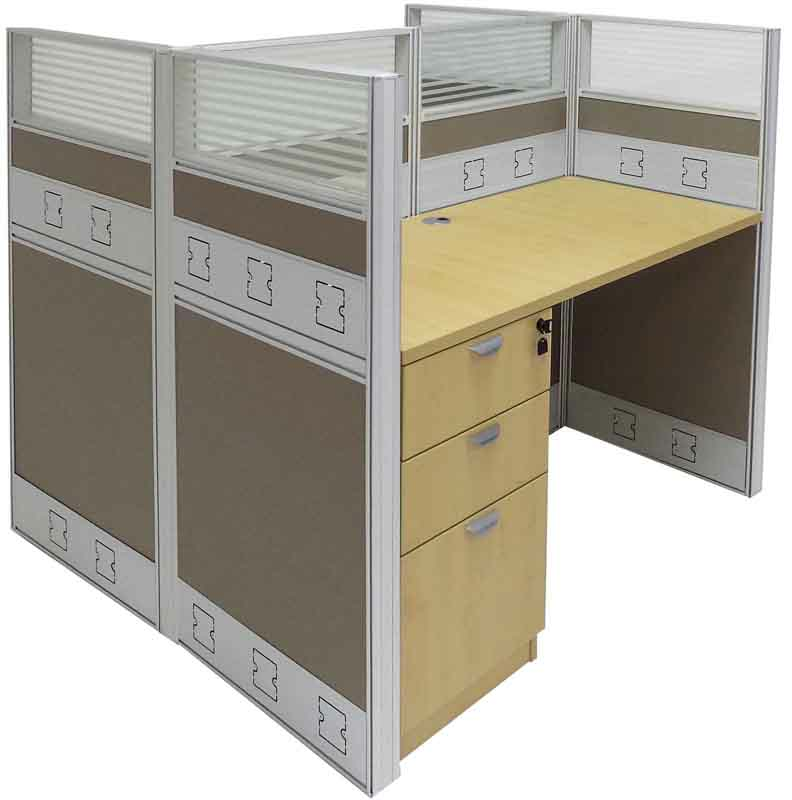 * Each cubicle includes a locking box/box/file drawer unit. Drawers ship assembled. * Reversible for left or right hand use. 3 - 9 $799.00 ea. Add-On 48"W x 24"D x 48"H Cubicle to Starter Cubicle, No. Y11886, above for complete additional workstation. 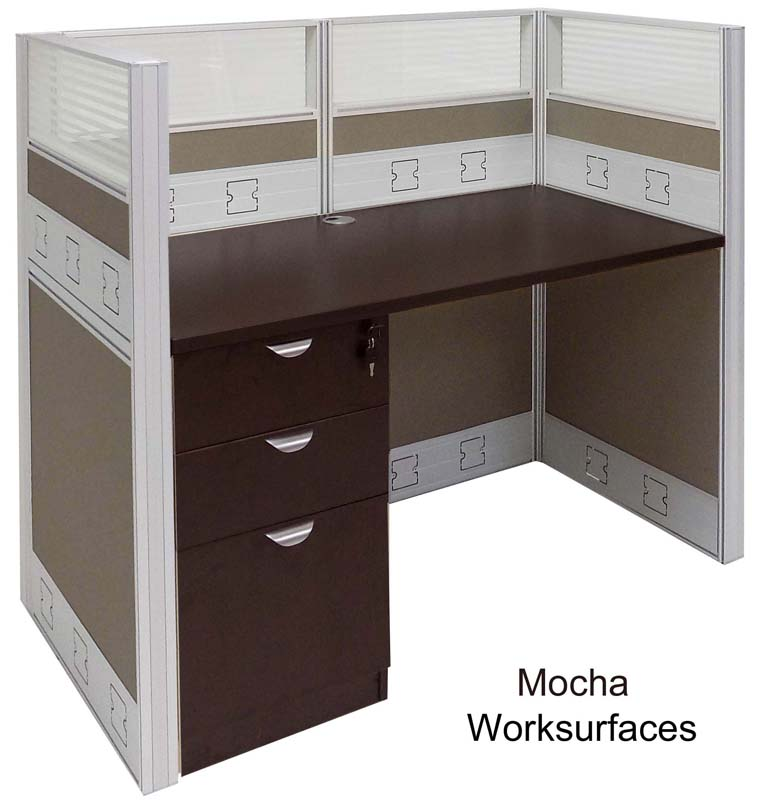 Includes all 48" high panels with glass windows, connecting posts, worksurface, locking box/box/file drawer unit and all necessary hardware as shown. 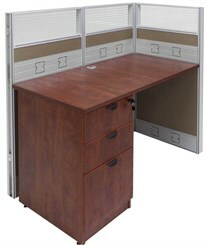 Add-On Cubicle dimensions are 50-1/4"W x 26-1/4"D x 48"H overall. Shipping weight 183 lbs. PRICE INCLUDES SHIPPING! (Truck shipment - See Terms & Conditions). IN STOCK! 1 - 2 $1,599.00 ea. 3 - 9 $1,529.00 ea. 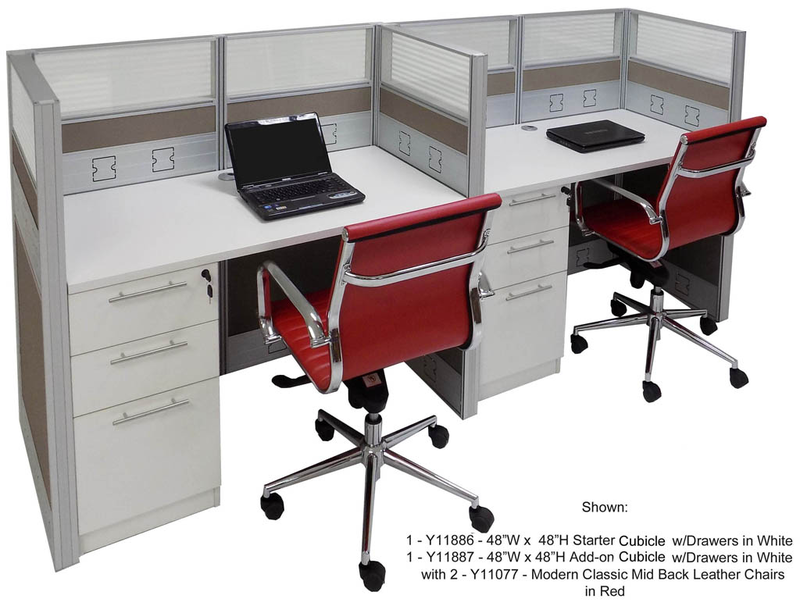 Back-to-back Double Starter Cubicles include all 48" high panels with glass windows, connecting posts, worksurfaces, box/box/file drawer units and necessary hardware. 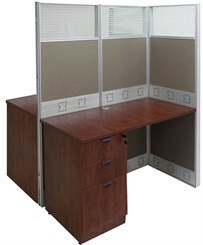 Double Starter Cubicle dimensions are 52-1/2"W x 50-1/4"D x 48"H overall. Shipping weight 366 lbs. PRICE INCLUDES SHIPPING! (Truck shipment - See Terms & Conditions). IN STOCK! 3 - 9 $1,229.00 ea. Add-On back-to-back Double Cubicles to Double Starter Cubicles, No. 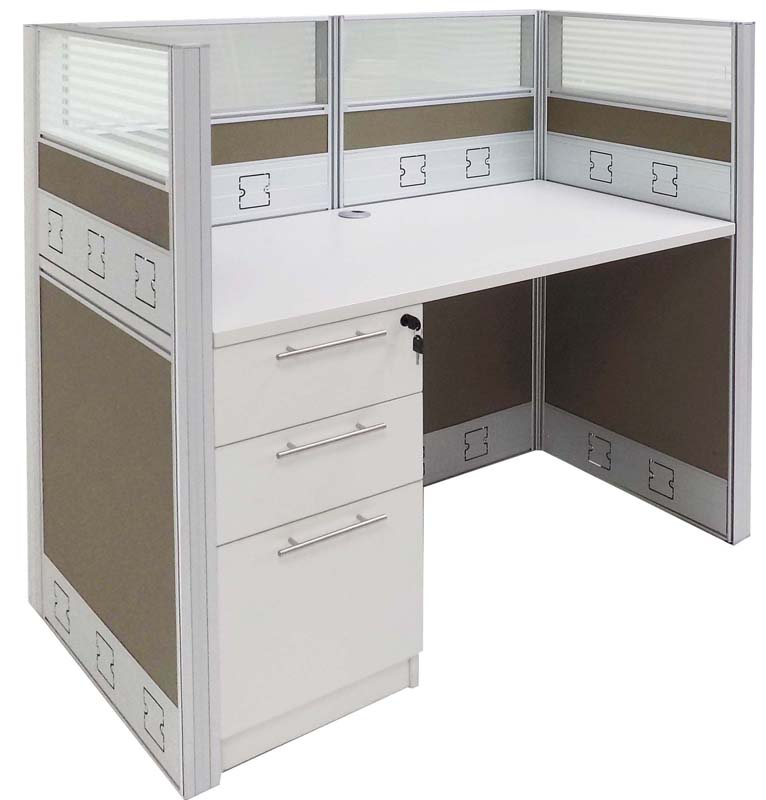 Y11888, above for two complete additional workstations. Includes all 48" high panels with glass windows, connecting posts, worksurfaces, locking box/box/file drawer units and all necessary hardware as shown. 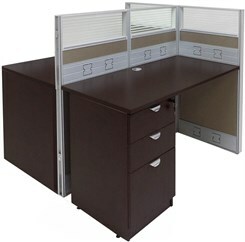 Back-to-back Double Add-On Cubicle dimensions are 50-1/4"W x 50-1/4"D x 48"H overall. Shipping weight 311 lbs. PRICE INCLUDES SHIPPING! (Truck shipment - See Terms & Conditions). IN STOCK! 3 - 9 $1,249.00 ea. 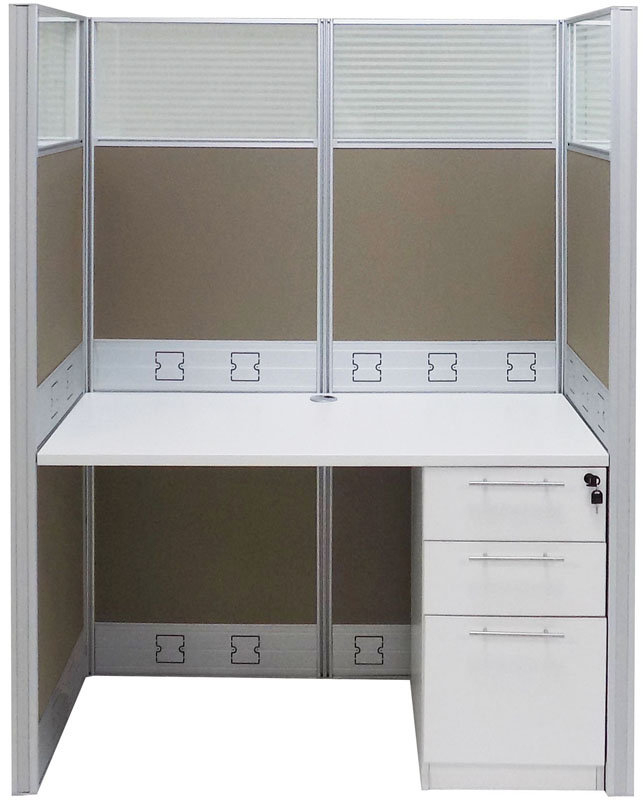 48"W x 24"D x 67"H Starter Cubicle includes all 67" high panels with glass windows, connecting posts, worksurface., locking box/box/file drawer unit and necessary hardware. 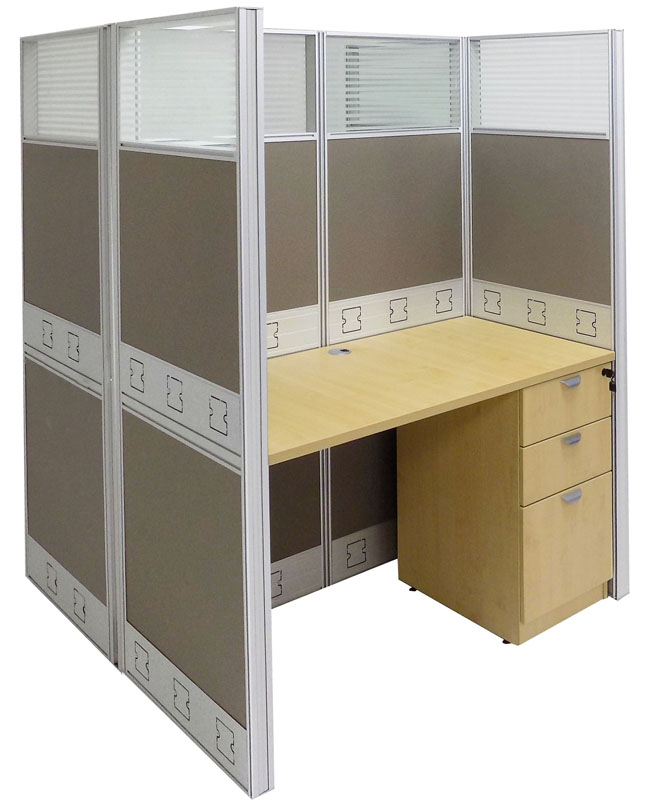 Starter Cubicle dimensions are 52-1/2"W x 26-1/4"D x 67"H overall. Shipping weight 212 lbs. PRICE INCLUDES SHIPPING! (Truck shipment - See Terms & Conditions). IN STOCK! 1 - 2 $1,049.00 ea. 3 - 9 $999.00 ea. 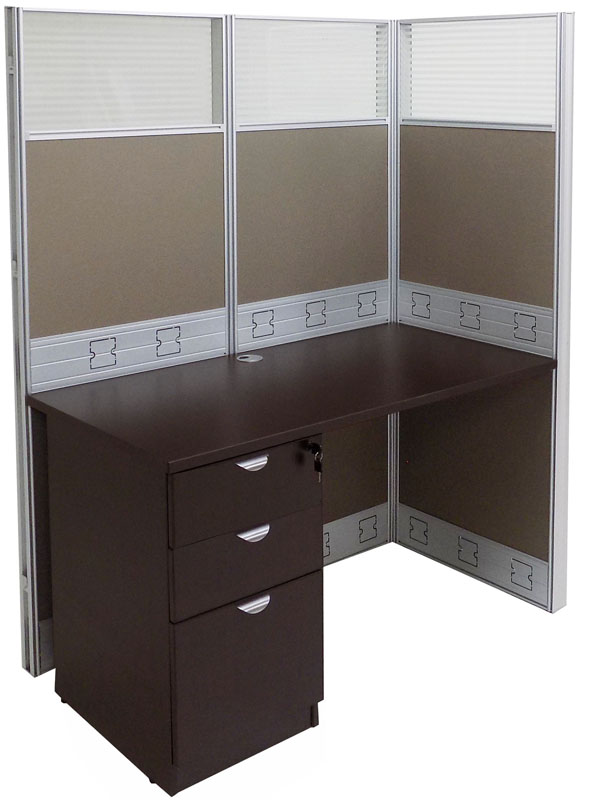 Add-On 48"W x 24"D x 67"H Cubicle to Starter Cubicle, No. Y11890, above for complete additional workstation. Includes all 67" high panels with glass windows, connecting posts, worksurface, locking box/box/file drawer unit and all necessary hardware as shown. Add-On Cubicle dimensions are 50-1/4"W x 26-1/4"D x 67"H overall. Shipping weight 197 lbs. PRICE INCLUDES SHIPPING! (Truck shipment - See Terms & Conditions).�IN STOCK! 1 - 2 $2,099.00 ea. 3 - 9 $1,999.00 ea. Back-to-back Double Starter Cubicles include all 67" high panels with glass windows, connecting posts, worksurfaces, locking box/box/file drawer units and necessary hardware. Double Starter Cubicle dimensions are 52-1/2"W x 50-1/4"D x 67"H overall. Shipping weight 422 lbs. PRICE INCLUDES SHIPPING! (Truck shipment - See Terms & Conditions). IN STOCK! 1 - 2 $1,699.00 ea. 3 - 9 $1,599.00 ea. Add-On back-to-back Double Cubicles to Double Starter Cubicles, No. Y11892, above for two complete additional workstations. 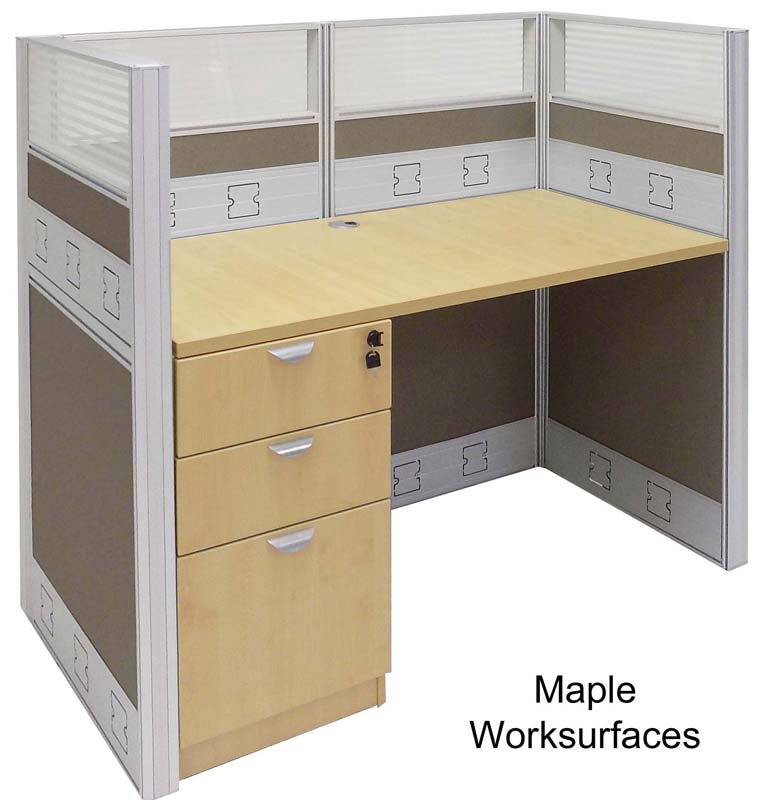 Includes all 67" high panels with glass windows, connecting posts, worksurfaces, locking box/box/file drawer units and all necessary hardware as shown. 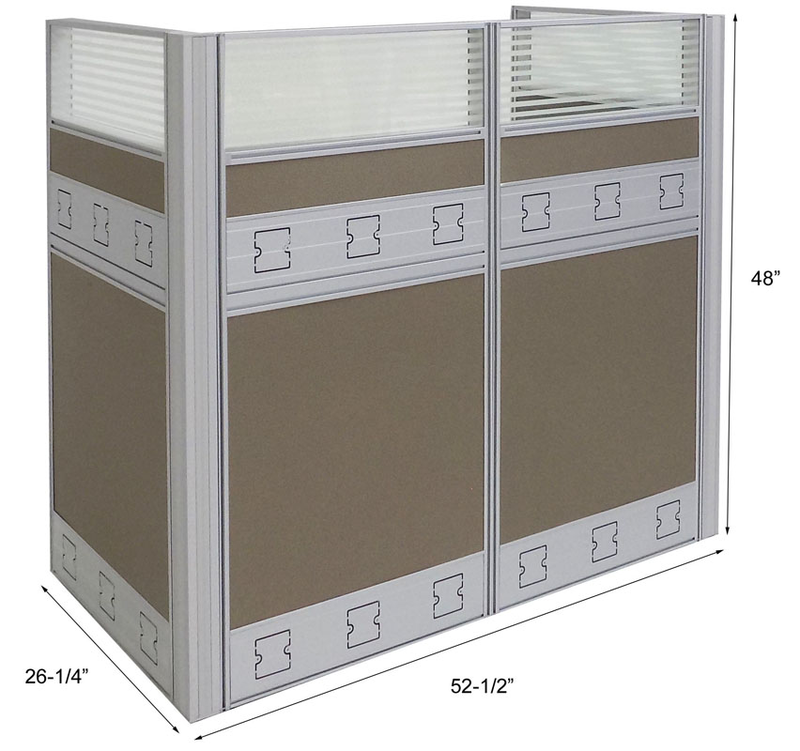 Back-to-back Double Add-On Cubicle dimensions are 50-1/4"W x 50-1/4"D x 67"H overall. Shipping weight 349 lbs. PRICE INCLUDES SHIPPING! (Truck shipment - See Terms & Conditions).�IN STOCK!